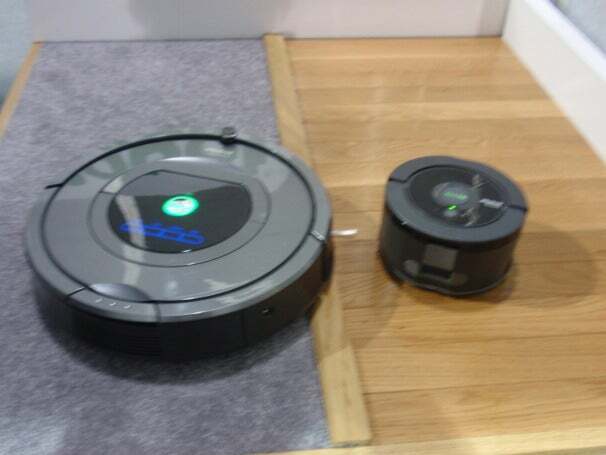 Have you ever wanted a robot in your home like those cool robots in the film iRobot? The idea of servant robots that can perform tasks, adapt to their surroundings, and call for help when needed is not new, but actual bots that can do these things may be closer than ever. A new robot from iRobot Corporation called Ava is currently in the R&D stage but it may soon be able to help out the elderly in their homes, monitor patients in hospitals, help with retail by helping you find a product in a store, and more. Ava in its current form took eight months to develop. iRobot first demonstrated it at CES 2011, but that prototype was effectively just a shell with a few basic functions. At this year's CES, though, iRobot showed off a more advanced version of Ava's software, more sophisiticated mapping abilities, and real-time response capabilities that let it react to changes in its surroundings. Ava combines elements from mobile computing, gaming, and navigation: its brains are an iPad that also serves as its main human-robot interface. It utilizes Kinect-like sensors that allow Ava to see 3D space all around it. And the navigation section is iRobot's pride and joy--the mapping and real-time rerouting technology allows it to avoid people and new obstacles. Ava also has omnidirectional wheels and it has an adjustable torsom allowing it to be anywhere from 3 feet to 5 feet tall. iRobot has not yet set a price or a date for release of Ava, but unlike the cleaning iRobots that only cost in the hundreds of dollars, and the military iRobots that run in the hundreds of thousands of dollars, Ava will be priced somewhere in the middle. It's mapping is not quite as advanced as what's found on iRobot's military bots, but it's more advanced than Roomba's iAdapt (which can distinguish between different objects such as a bed skirt and a wall).